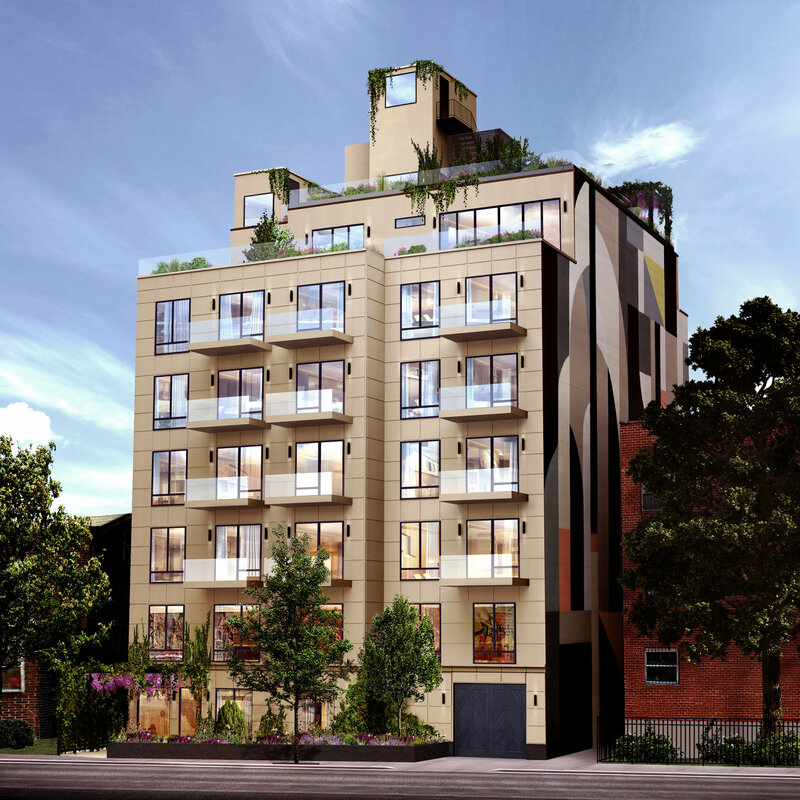 Last-minute design changes can be revealed for the seven-story, 28-unit residential project currently receiving finishing touches at 11-07 Welling Court, in western Astoria near the East River. Ten artists were also commissioned by the developer to craft works throughout the building, DNAinfo reported. The latest building permits indicate the project encompasses 27,144 square feet and rises 68 feet to its roof. 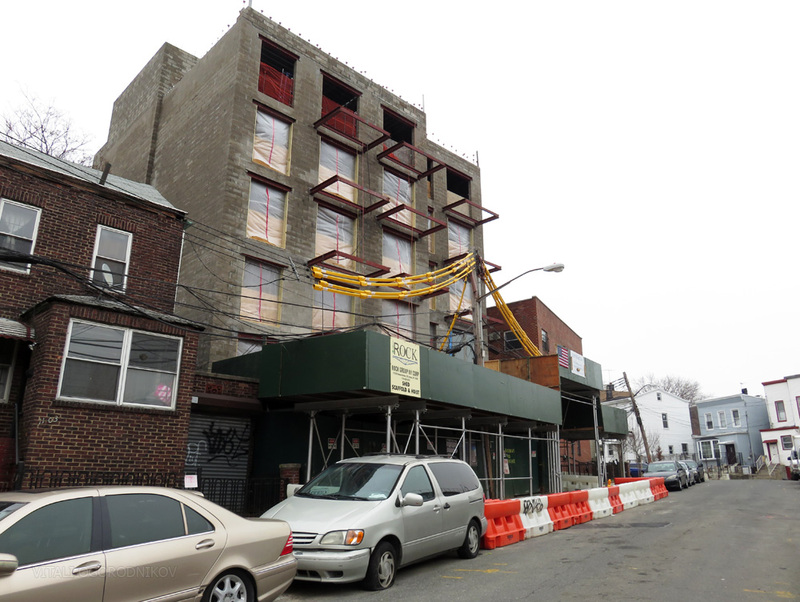 In January, YIMBY checked in on the construction of a six-story building at 11-07 Welling Court in Astoria. 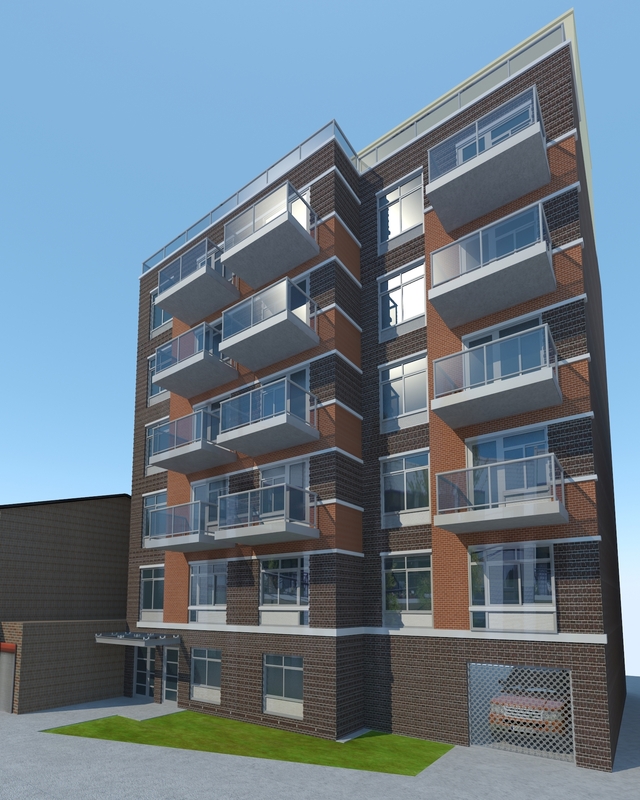 Now we’ve got a fresh rendering for the development, which is surrounded by a long-running public art project.